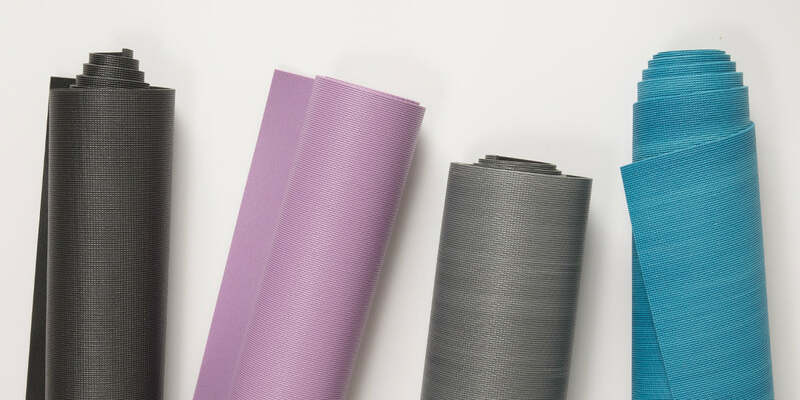 You’ve spent hours reflecting on your body, your practice, your lifestyle, and your values and finally you’ve selected the yoga mat of your dreams. You’ve waited with bated breath for the moment you can use your new yoga mat for the first time and finally that moment is here. You arrive at your studio, check into your class, and stash your belongings. You walk into the classroom, find a space, and roll out your brand new yoga mat onto the hardwood floor. You step onto your mat and the cushion is exactly the way you imagined it would be. You kneel and fold into child’s pose, then tuck your toes and press up into downward dog…. ….only to find your hands sliding forward. You thought this mat was grippy! That it would support you in every asana, keeping you secure and grounded throughout your practice. And you know what? It probably will… It just needs a little TLC. It’s a little known fact that most mats have a breaking in period before they become your perfect yoga partner. Every mat (and every practice) is a little different, though, so the length of this period can vary. The following tips will help you move through the process quickly and have you and your mat working in harmony before you know it. Most mats come with a light, shiny coating that was applied in the factory to help the mat release easily from the mold. It also keeps it from sticking to itself when it is initially rolled up. A great deal of the sliding you experience on a brand new mat is likely due to this factory coating. Give your new mat a good cleaning with soap and water or, better yet, Halfmoon Mat Clean, and you should find the amount of sliding decrease immediately. Just make sure you wipe off all traces of the cleaning agent and give your mat ample time to dry before you use it! Once you’ve removed the coating, the next thing to do with your mat is to use it. A lot! Giving your mat as much love as possible will put a bit of wear on the the mat surface, perfect for increasing friction and promoting skid-free yoga. If you find that certain poses tend to make you slide, avoid them during the breaking-in period and stick with poses in which you feel secure. You can even just put your mat in a high-traffic area of your home and walk over it repeatedly for a couple of days (bare feet work best). If cleaning and using your mat aren’t increasing the stickiness as quickly as you’d like, give your mat a spa treatment. Sprinkle your mat with sea salt and warm water and then scrub it all over with a stiff-bristled brush. Once you’ve exfoliated the entire mat surface, make sure you wipe your mat thoroughly with a dampened cloth to remove all traces of the sea salt. Allow it to dry thoroughly. Following the above tips should have you quickly on your way to a beautiful practice with your new yoga mat.